Run/Walk at any location you want. You can use the treadmill, run outside, your own course, another race, or get your running group together. You can run the event any day, any time, or any place you want. For more events go to USRoadRunning.com. 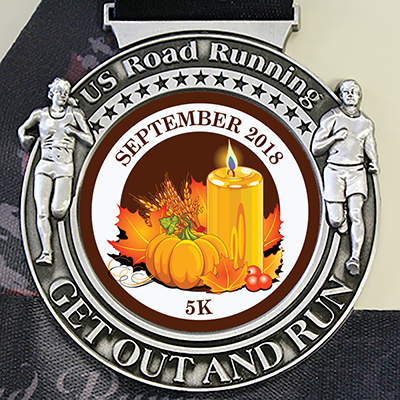 3 inch 3D medal with colorful insert and 1.5 inch colorful ribbon.